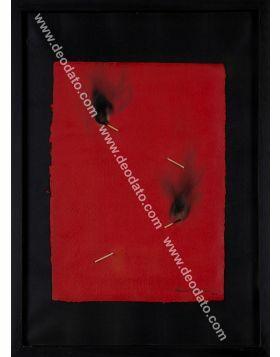 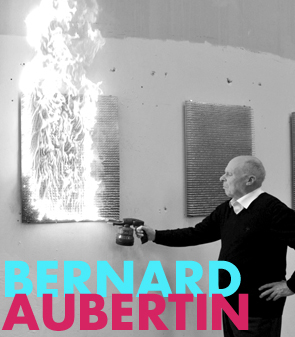 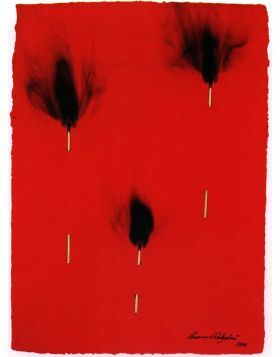 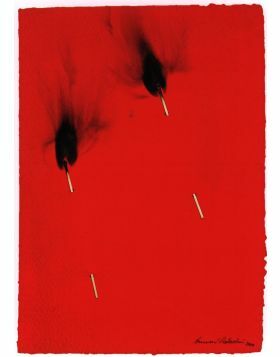 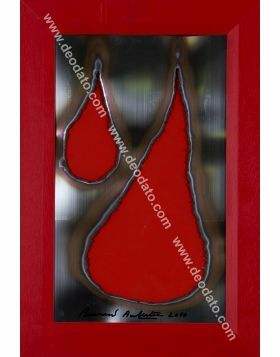 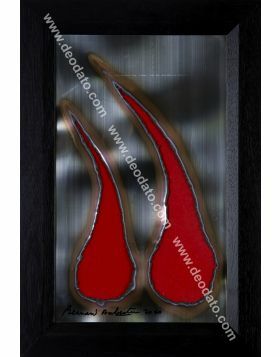 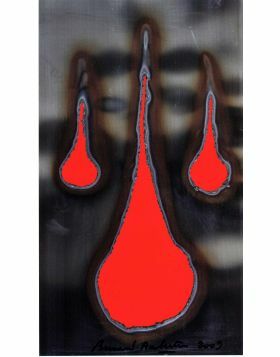 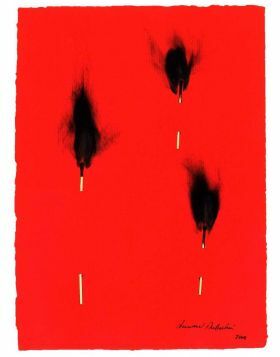 Metal sheet burned by blowtorch creating two shapes in which stands out the red background, typical feature by the artist Bernard Aubertin. 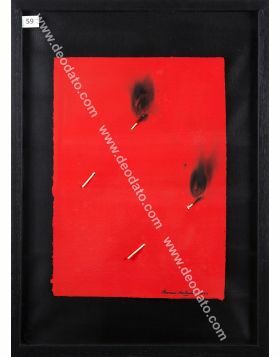 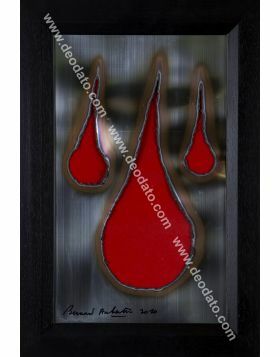 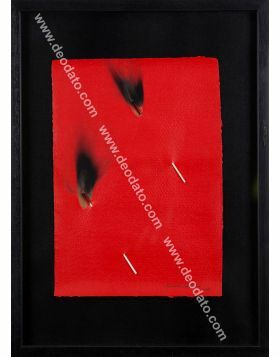 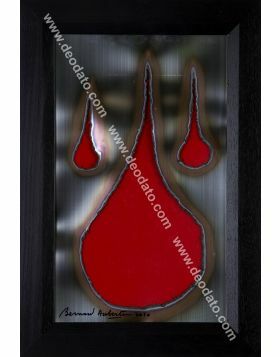 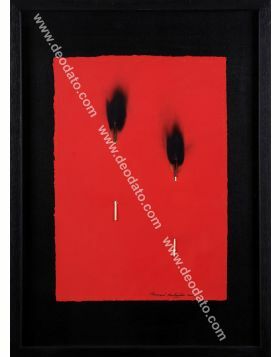 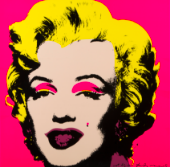 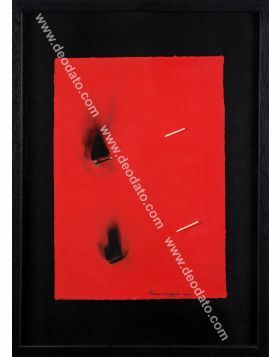 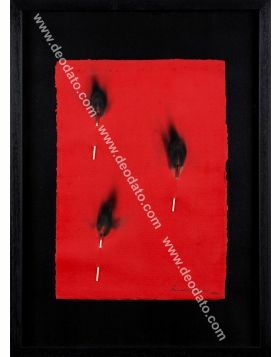 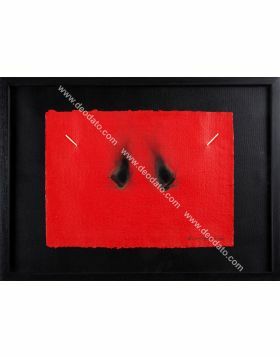 The price includes a black frame and the hardcover catalogue where the artwork is published in, called Bernard Aubertin. 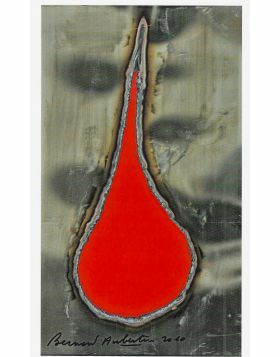 Fer Brûlé, at page 140. 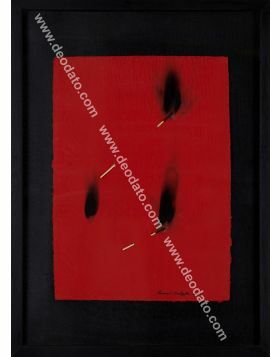 Besides the artwork is part of the artist's archive, and has the number 10519.